I have painted a lot of trolls over the years, but I must say this is one of the more unusual! 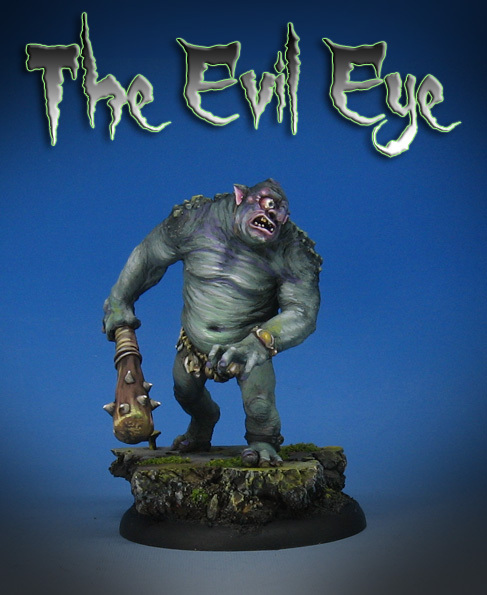 The bulging eye was pretty wild, and gave me a chance to paint a lot more of the eye than I would normally have. I could work around the outer edges of the eye, creating veins, etc. I also used the Vallejo Environment Moss and Lichen. That does have an interesting effect, which is super matte and a slight bit of thickness as well. I put some Secret Weapon Miniatures Realistic Water over the eye to give it a little gloss. That is something I do a lot more these days, as having that gloss effect allows the highlight on the eye to "track" wherever the lights happen to hit it.